DT has created with these fabulous images! And for a chance to win of course! 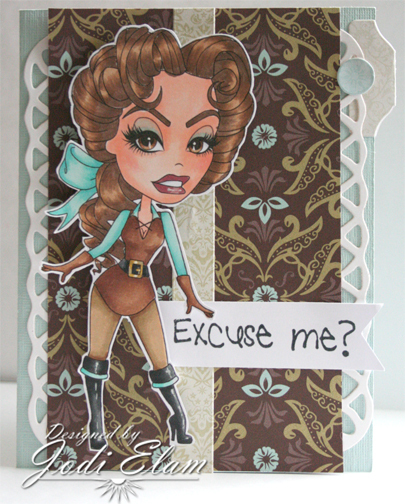 This month the images Lindsay created are a new take on some old characters and she sassified them! The theme this time around is....Going Forward....Looking Back! And we each chose a favorite project of ours that we made during 2012. Please follow along the blog hop and meet the 4 new Sassy Villains! Here it is, better late than never. Ugh! I get to use "Gaston Honey" and I used a bunch of favorites - Copics, dies.... I have to say, Gaston never looked so good. I only wish I had, had a die with antlers, because ya know he uses them in all of his deocrating... "My what a guy....Gaston!" My favorite Sassy piece from 2012 has to be my "Count Your Blessings" card I did using "Briar Rose Honey", this one had a lot of work in it. That was a tough decision. 2 randomly selected comments will be picked each day to win 2 images, there will be 1 randomly selected winner each day of the hop to win all 4 images. These will be picked from comments left through out the hop! To be eligible to win you must comment on each blog for that day and comment on the SSD blog! The winners of both hops will be posted on Wednesday the 30th. Have fun and enjoy! Once again, sorry about the delay. Jodi, this is just gorgeous! I love your coloring...I know I say that everytime, but it is just stunning. Love the colors you used and the layout. Wonderful! Love how you have tucked the die-cut behind the DP - never would have thought of doing that but it is effective. Great sentiment to go with this image - I can almost hear her saying that. GORGEOUS coloring! Love your papers, too. I love your second card, too...those leaves are the perfect touch! I definitely need some coloring lesson's from you. Just Gorgeous. AWESOME card...I love your favorite too! I love your two creations. Super Great Job. 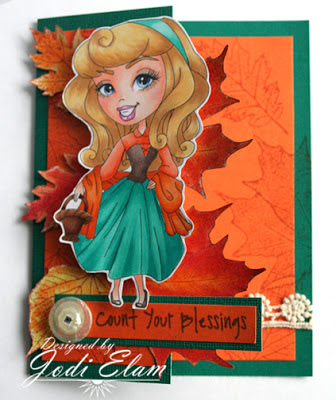 So beautifully done Jodi, I love to look at your creations and beautiful coloring. Gorgeous coloring and papers, Jodi! Awesome sentiment too & your 2012 project is sublime! Great cards!! LOVE what you did with Gaston!! Jodi - This is really pretty. I really ADORE the colors you chose! The coloring with the browns is spectacular!